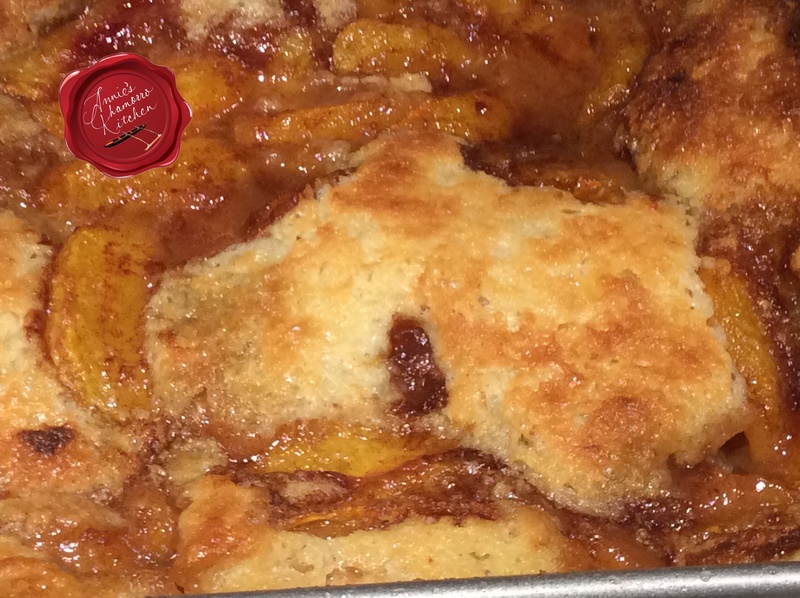 Peach Cobbler is the ultimate summer dessert. 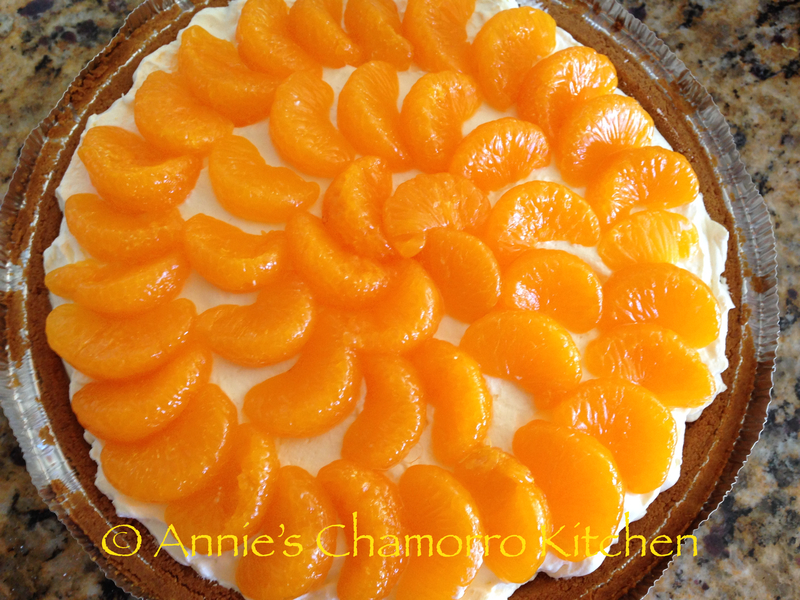 I like using fresh peaches when they are in season, but canned peaches (in juice, not syrup) will do in a pinch. 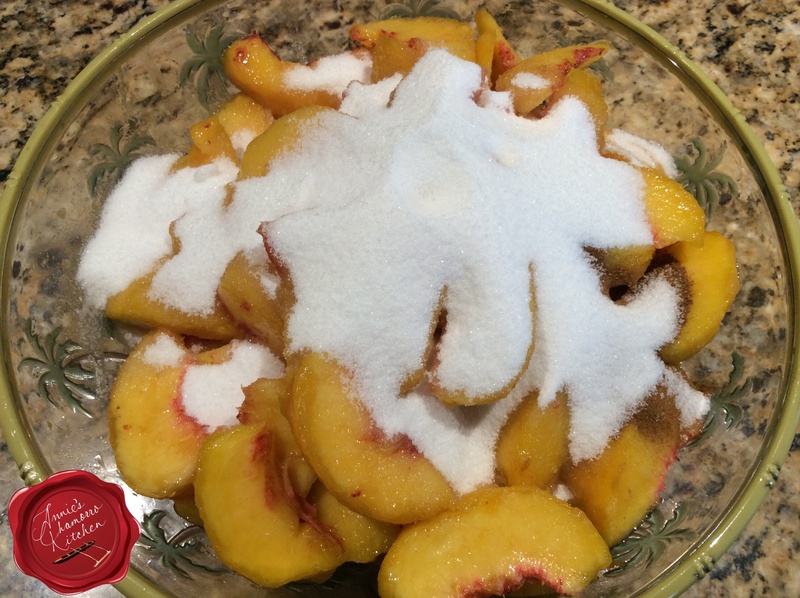 Place the sliced peaches into a large mixing bowl. If you’re using canned peaches, be sure to drain all the liquid. 12 fresh peaches yields about 10 cups of peaches. Add sugar, cinnamon, vanilla extract and lemon juice to the bowl. Gently stir to combine all of the ingredients. 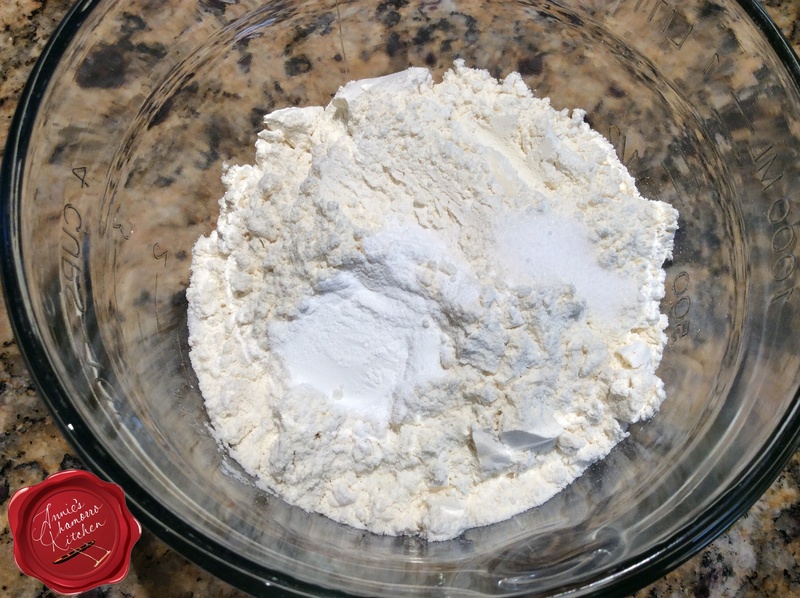 In a small mixing bowl, whisk together the flour, sugar, salt and baking powder. Add milk to the flour mixture. 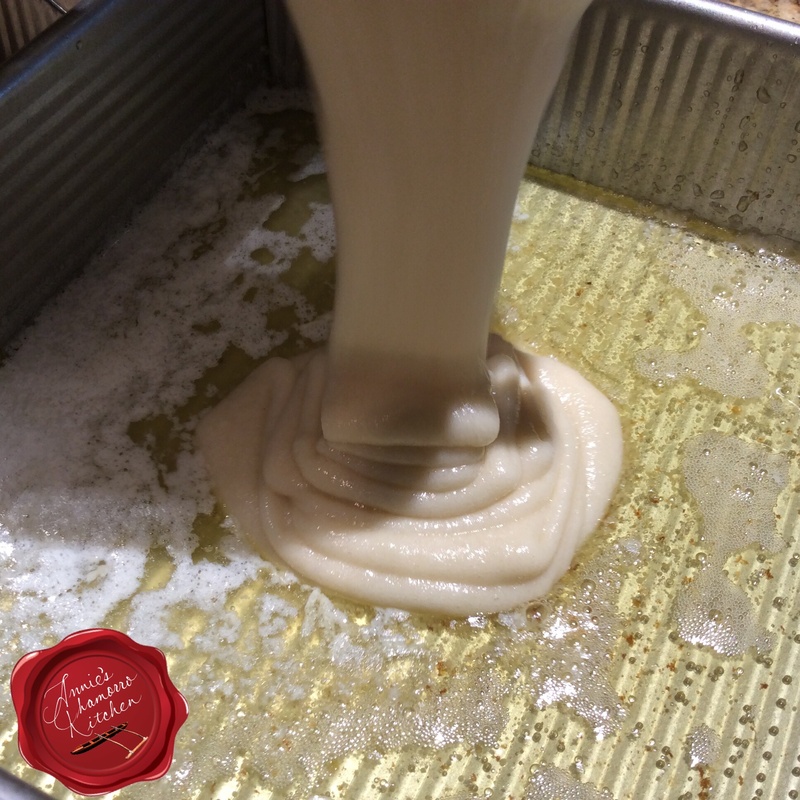 Stir or whisk, just until a batter forms. A few small lumps in the batter are okay. Pour the melted butter into the pan. 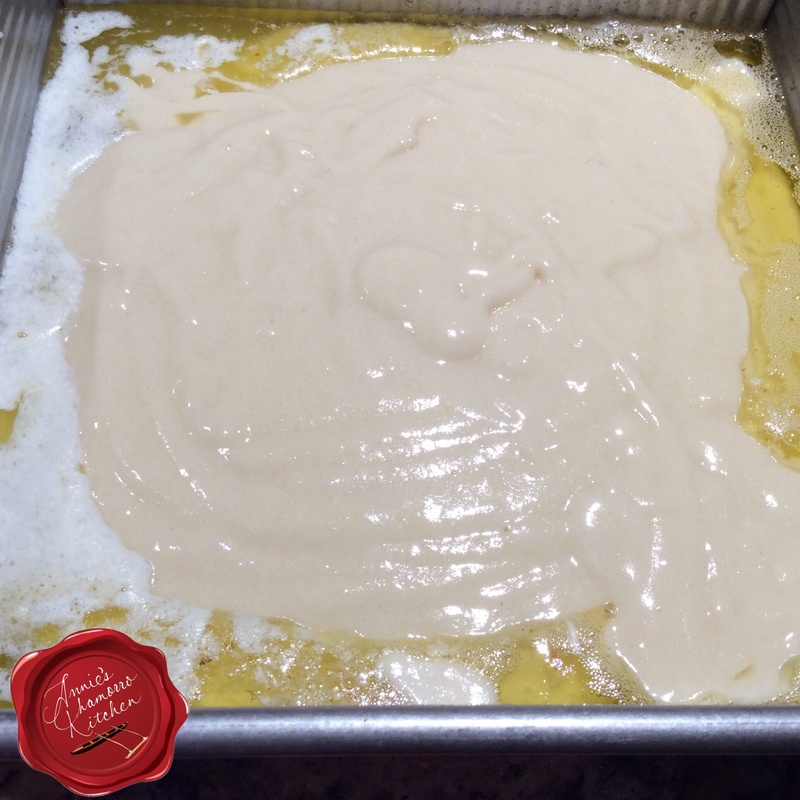 Pour the batter over the melted butter. DO NOT STIR. 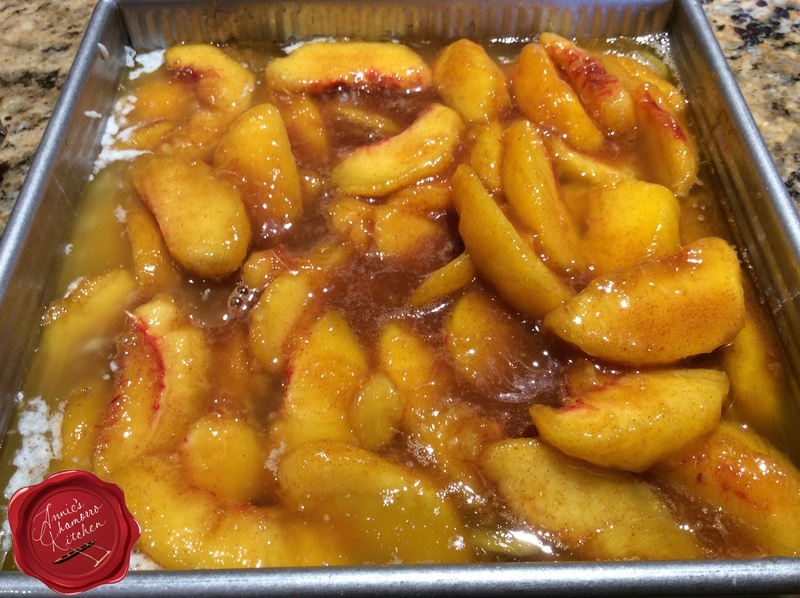 Place the peaches on top of the batter. Again, DO NOT STIR. Bake for 45-50 minutes or until the batter (that seep through to the top) is golden brown. 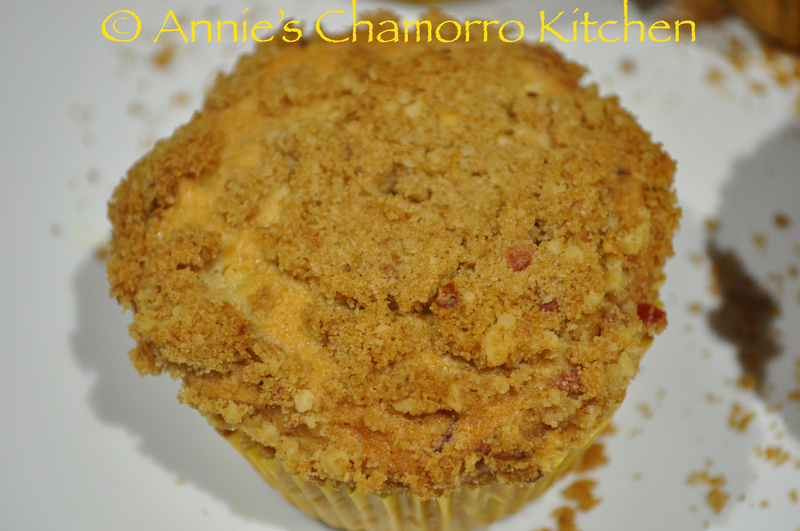 I love how the some of the batter rose through the peaches and sweet cinnamon sauce and settled on top. 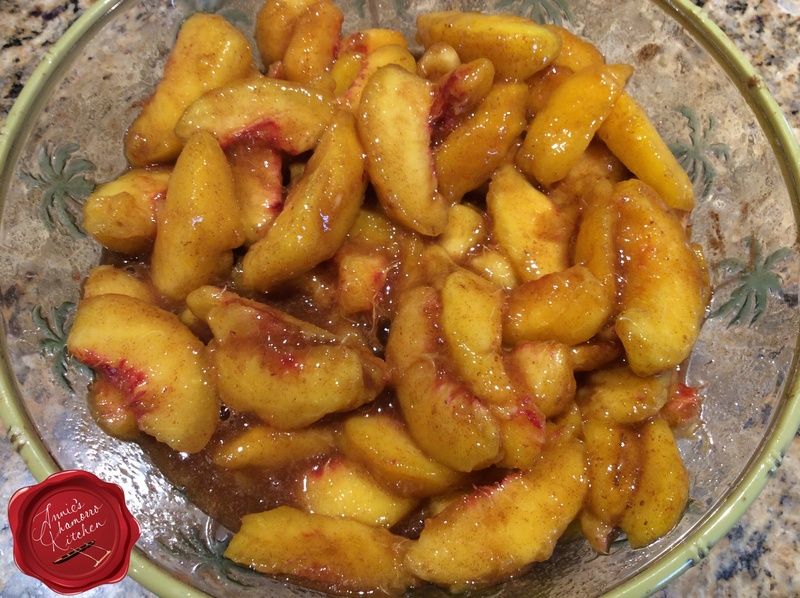 If you want more of the batter to seep through to the top, save some of the batter, placing dollops of it on top of the peaches before baking. 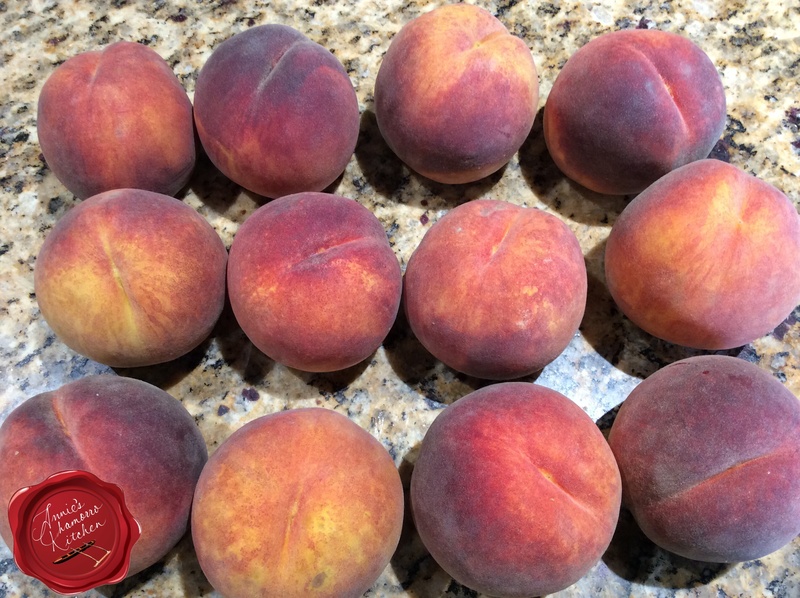 The peaches are perfectly cooked, not mushy at all. The batter is fluffy on the inside and just slightly crisp on the outside where the sugar caramelized on top. 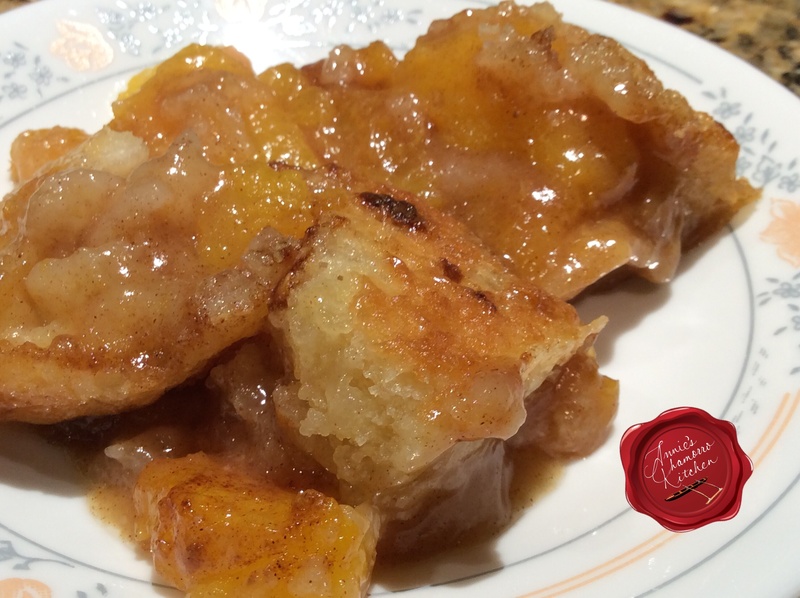 What’s better than warm peach cobbler? 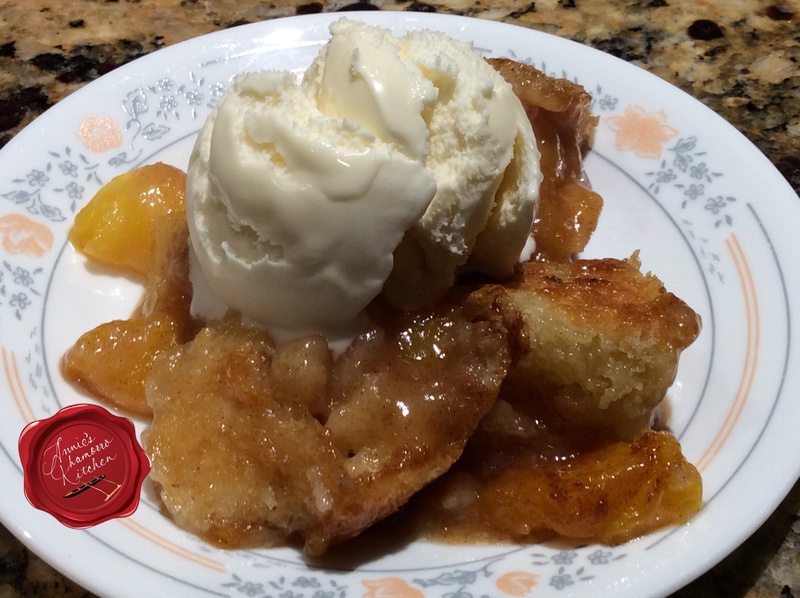 Why, peach cobbler with ice cream, that’s what! 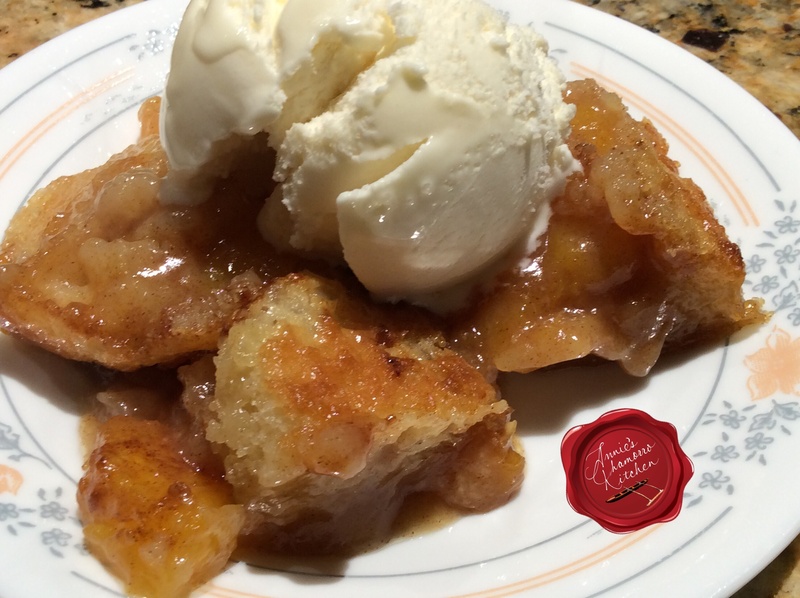 Top with vanilla ice cream or whipped cream and ENJOY! Fresh, juicy sweet peaches mixed with sugar, cinnamon, and vanilla extract, baked with a buttery batter to create the summer dessert favorite. 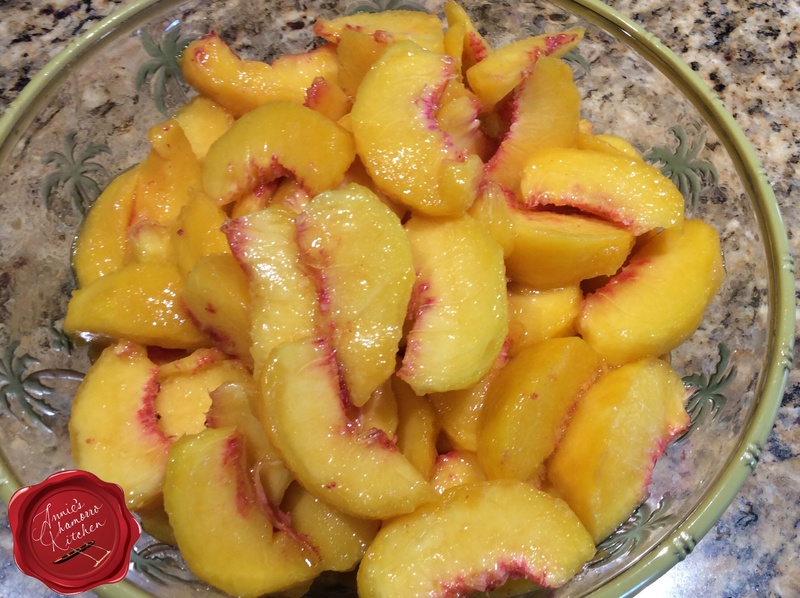 Place the sliced peaches in a large mixing bowl. Add the sugar, cinnamon, vanilla extract, and lemon juice. Stir gently to combine all of the ingredients. 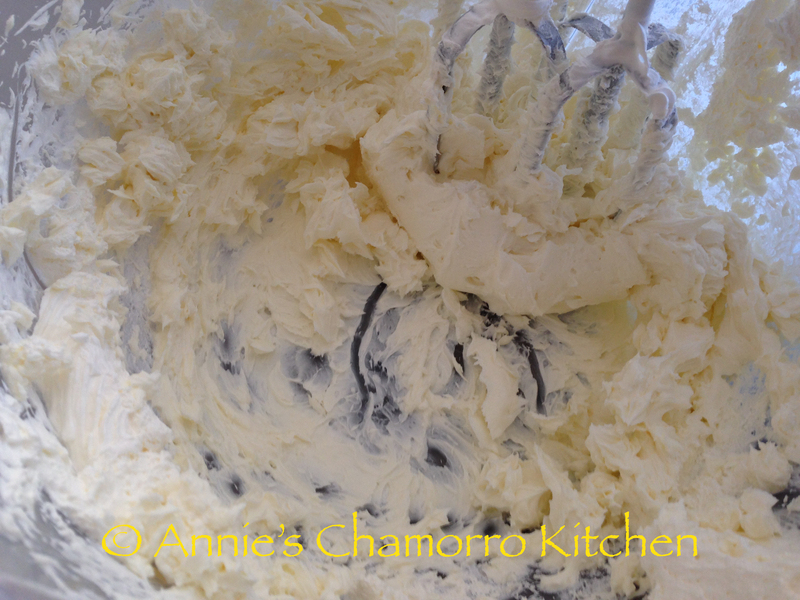 In a medium-sized mixing bowl, whisk together the flour, sugar, baking powder and salt. 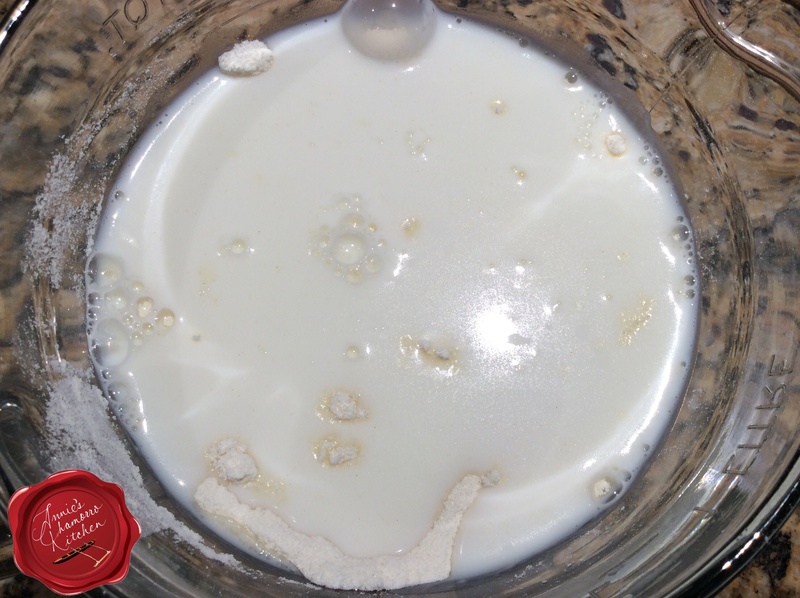 Pour in the milk; mix together until a batter forms. 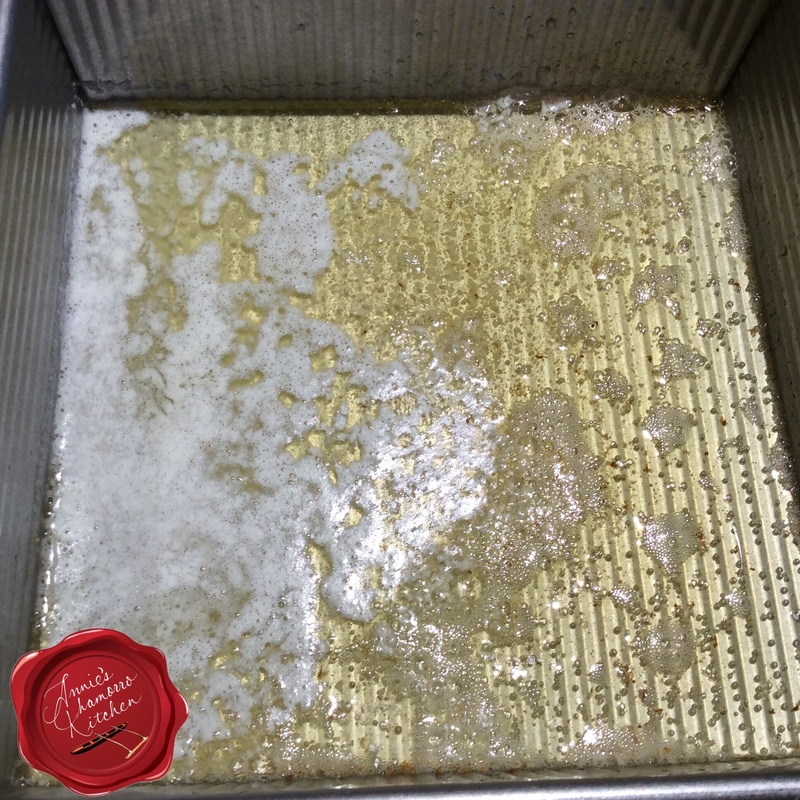 Pour the melted butter into a 9x13 pan. 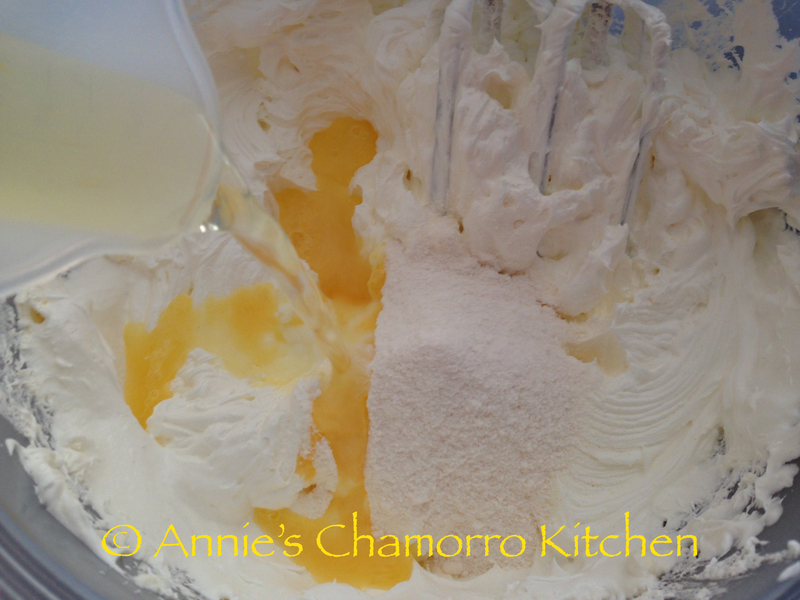 Pour the peach mixture over the batter. DO NOT STIR. 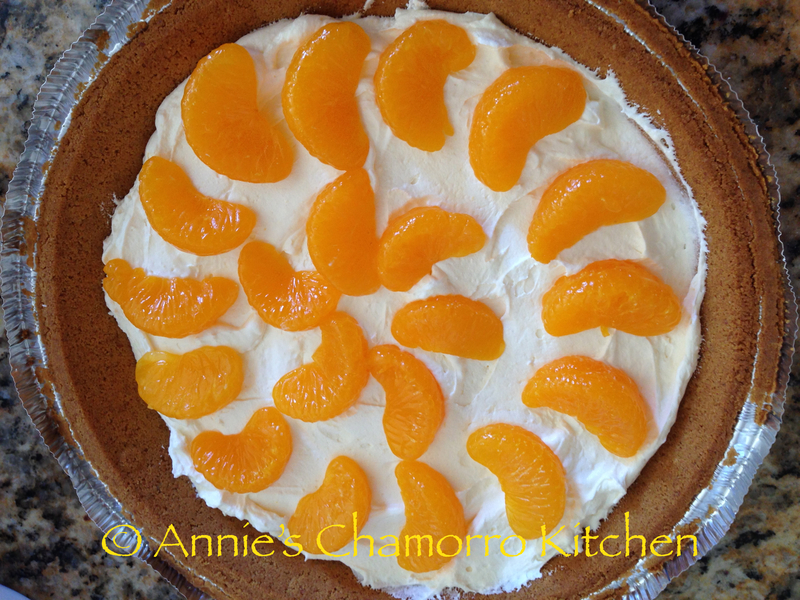 Serve with vanilla ice cream or whipped cream and ENJOY! 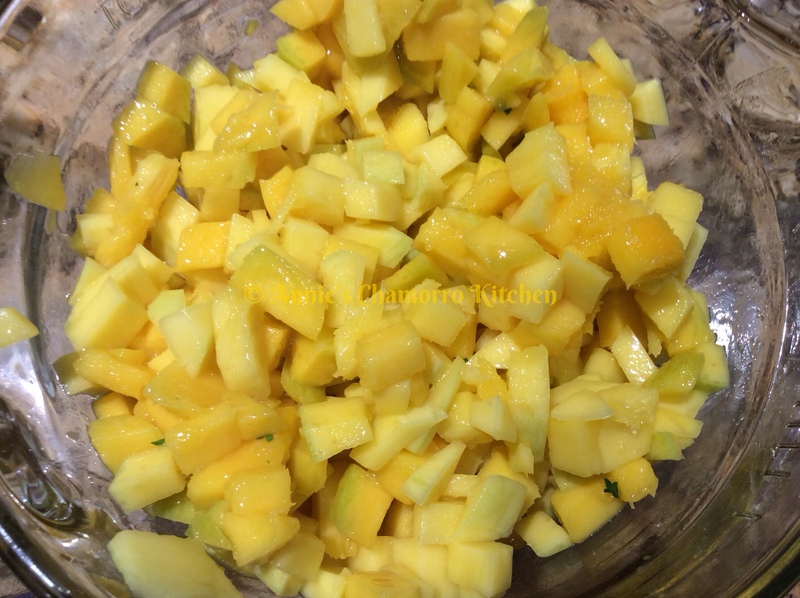 Cut the skin off the mango. 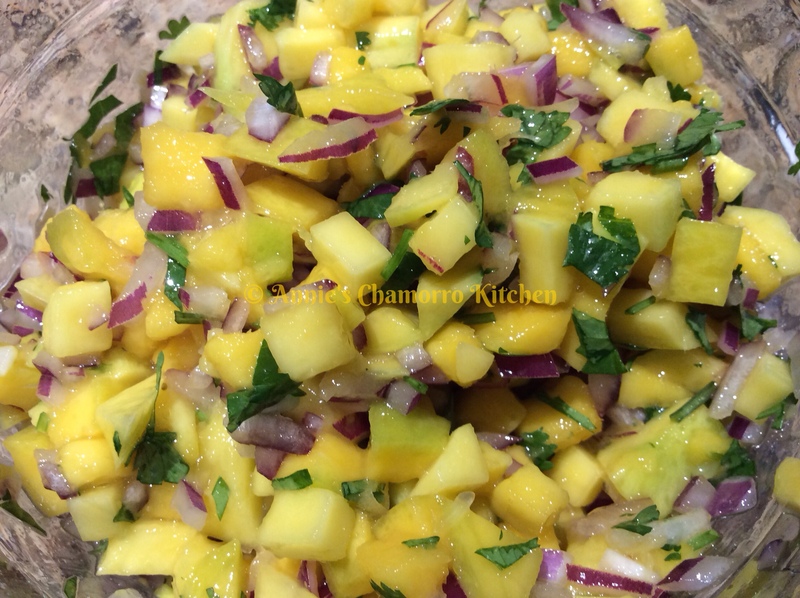 Dice the mango into 1/4-inch cubes. Place into a small mixing bowl. 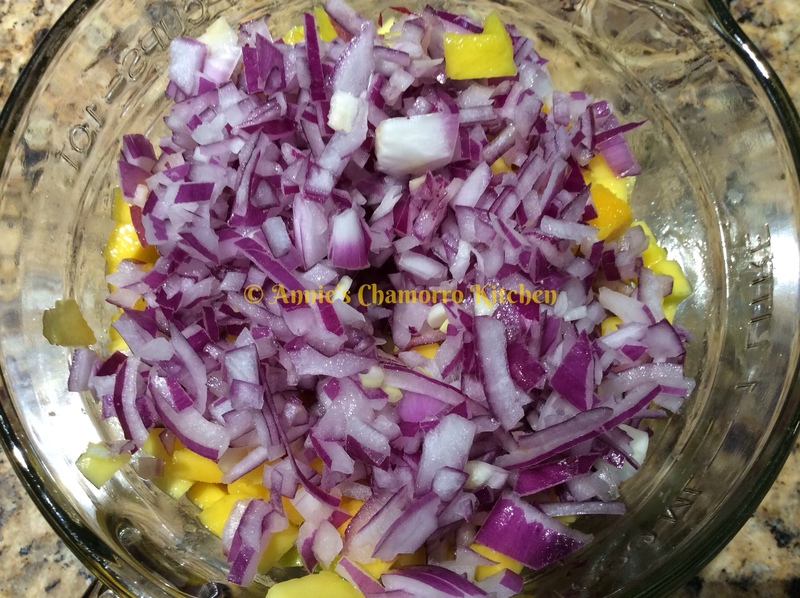 Add the red onions and the optional jalapeño to the bowl. Stir to combine the ingredients. Serve with your favorite chips, crackers, or as a condiment for fish, chicken or steak tacos. ENJOY! I love caramel apples, don’t you? What I don’t love is having to bite into it, so I usually end up cutting the apple into slices so I don’t make a huge mess. 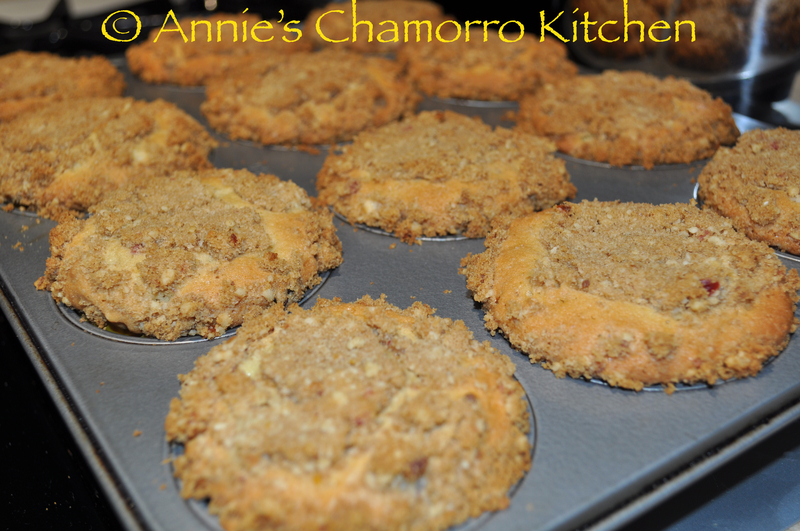 This recipe makes it so much easier to enjoy this delicious treat. 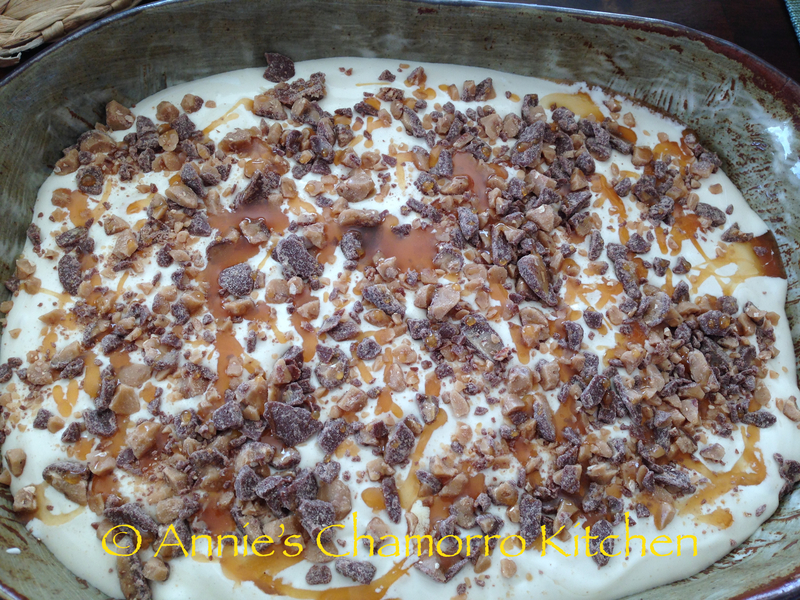 I used toffee bits in this recipe, but you can also use miniature chocolate chips, chopped nuts, or even crushed jolly rancher candies. The possibilities are endless to how versatile you can make this. 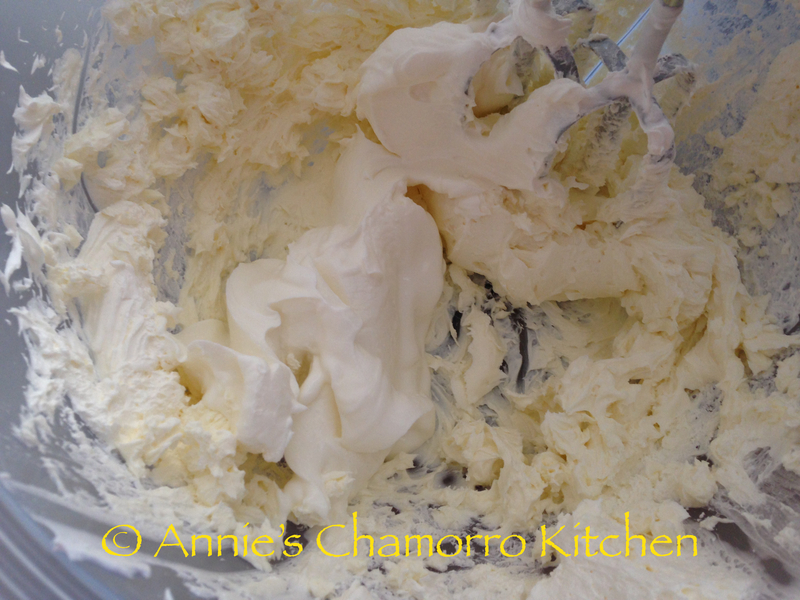 Place the cream cheese into a small mixing bowl. 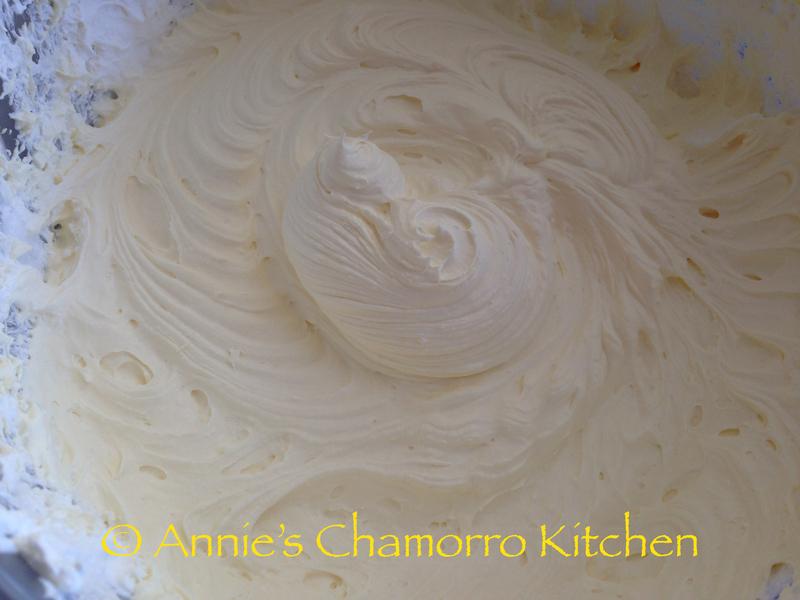 Using a hand mixer, mix until creamy. 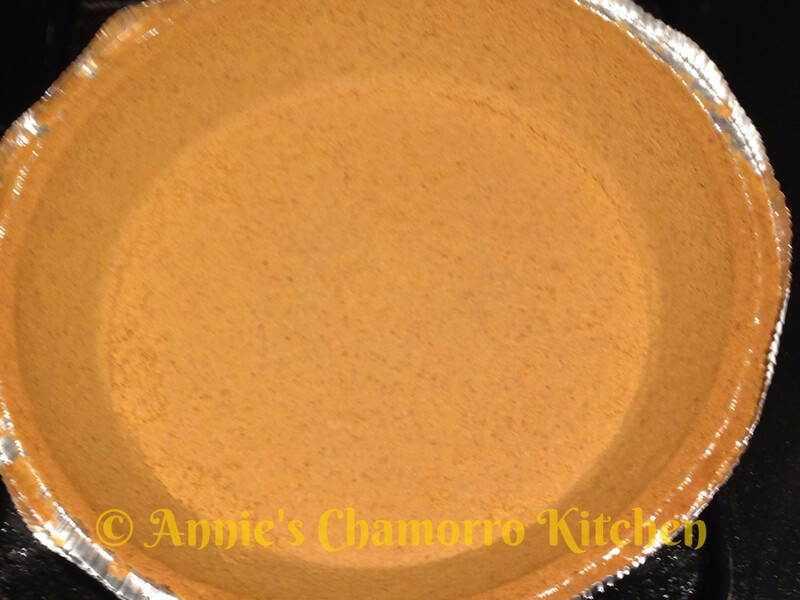 Add the 1/4 cup of caramel sauce and brown sugar to the bowl; mix until you don’t see any large lumps of brown sugar. 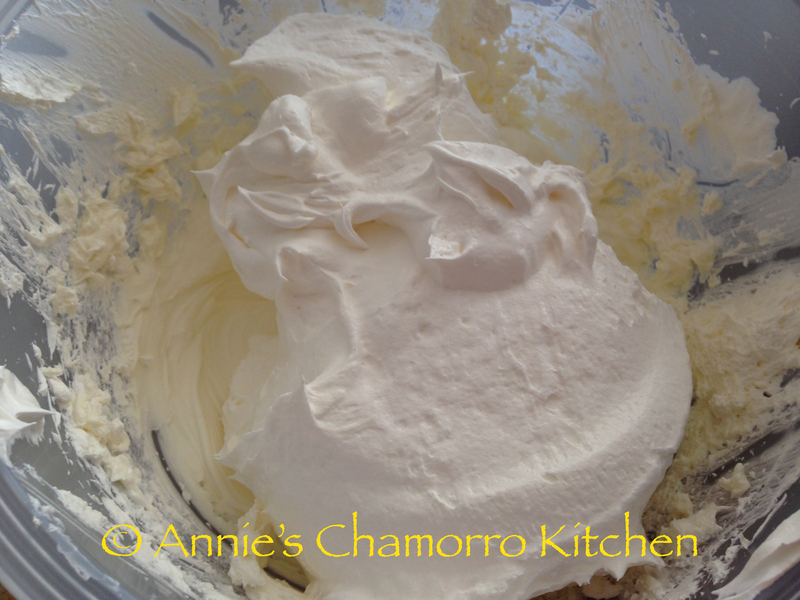 Next, mix in the marshmallow cream. Add the vanilla extract and mix well. 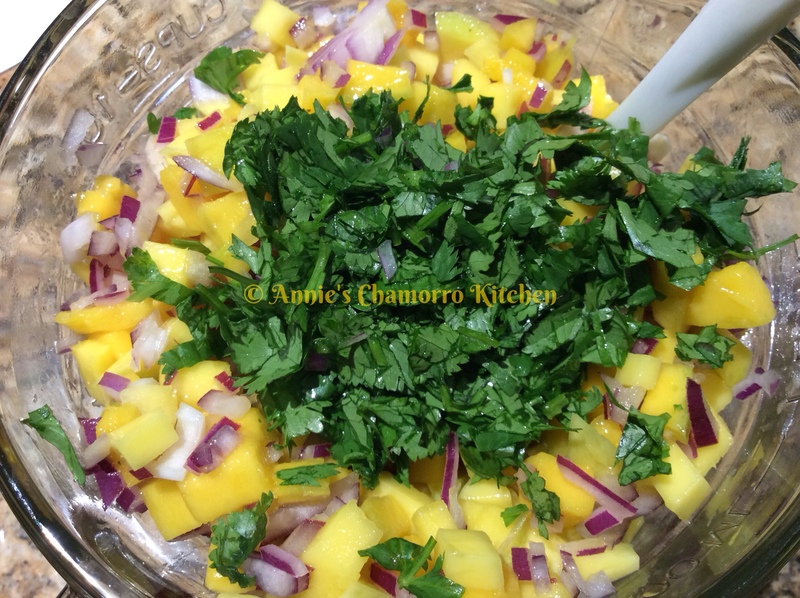 Place the dip into a serving dish. 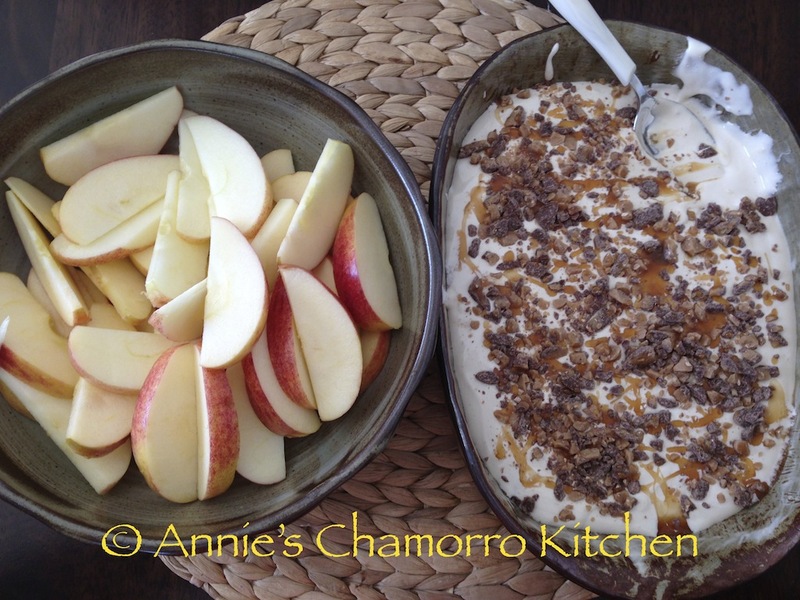 Sprinkle toffee bits or your favorite caramel apple topping all over the top. Drizzle with more caramel sauce (as much as you like). 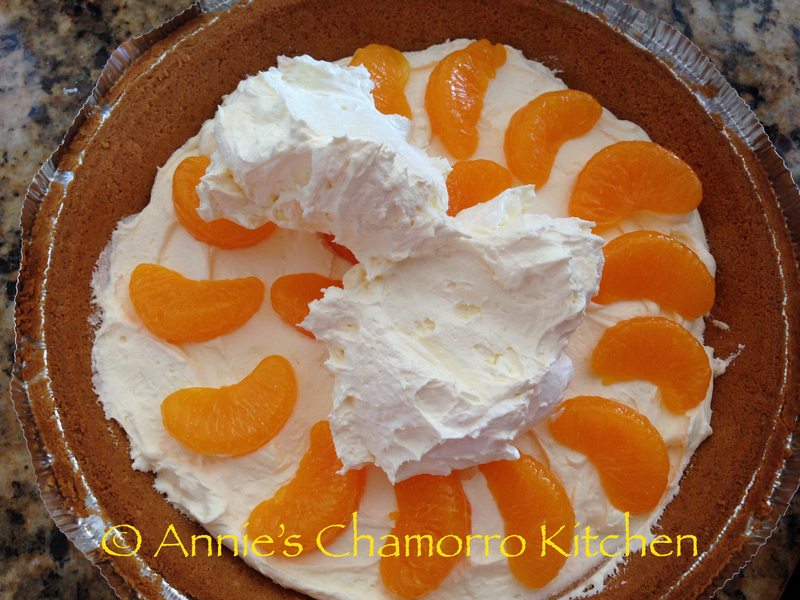 I first tried this pie years and years ago, when one of my sisters made it for our family. It’s since been one of our favorite desserts. 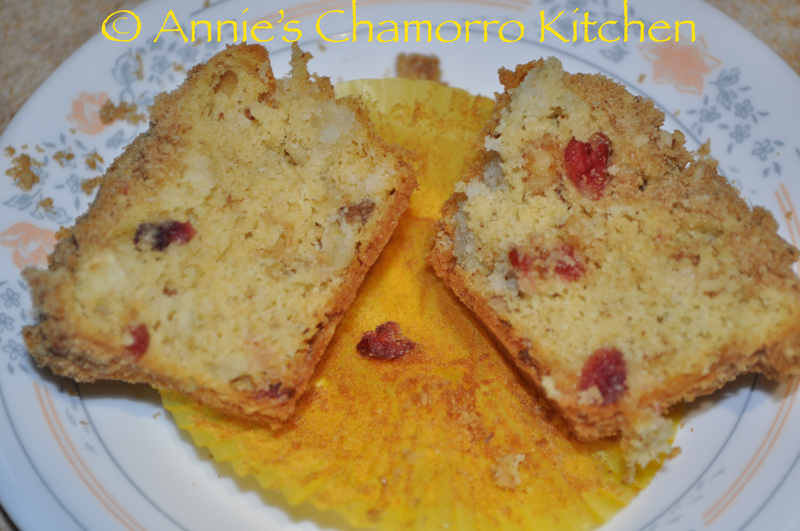 It’s quick and easy to make; in fact, if you’re looking for something delicious to make for dessert, add this to your menu. 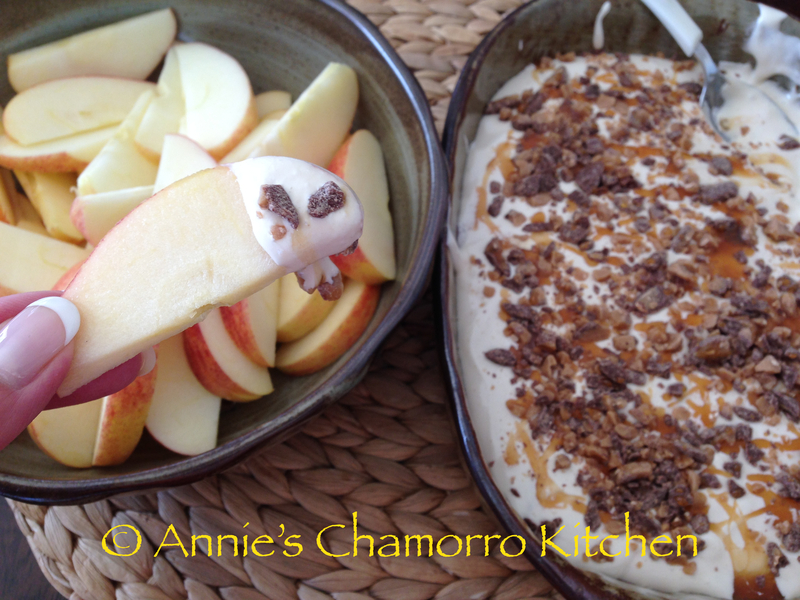 It’s a delicious dessert to take to potlucks too! 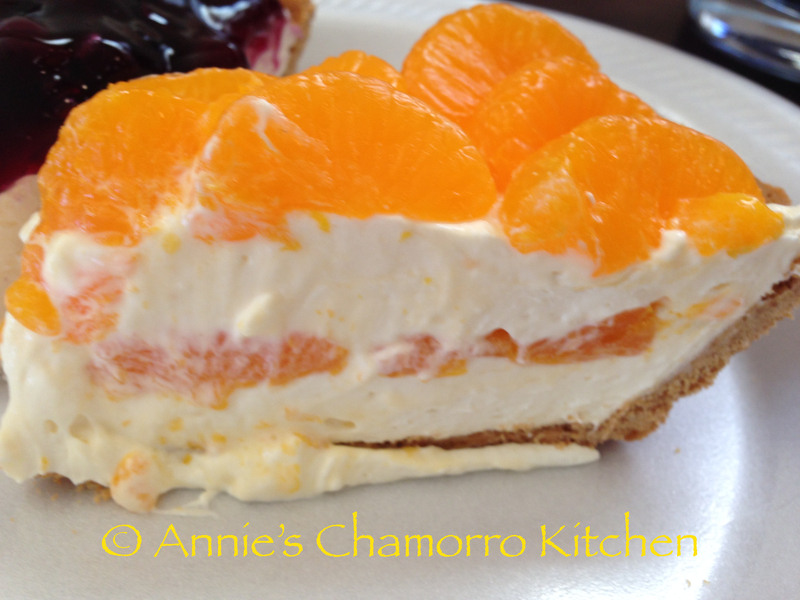 For a low-calorie / lightened version of this recipe, use a low-fat crust, fat-free cream cheese, low-fat or fat-free sour cream, lite Cool Whip, sugar-free pudding mix, and mandarin oranges packed in juice instead of syrup. 1. Heat your oven to 250 degrees. 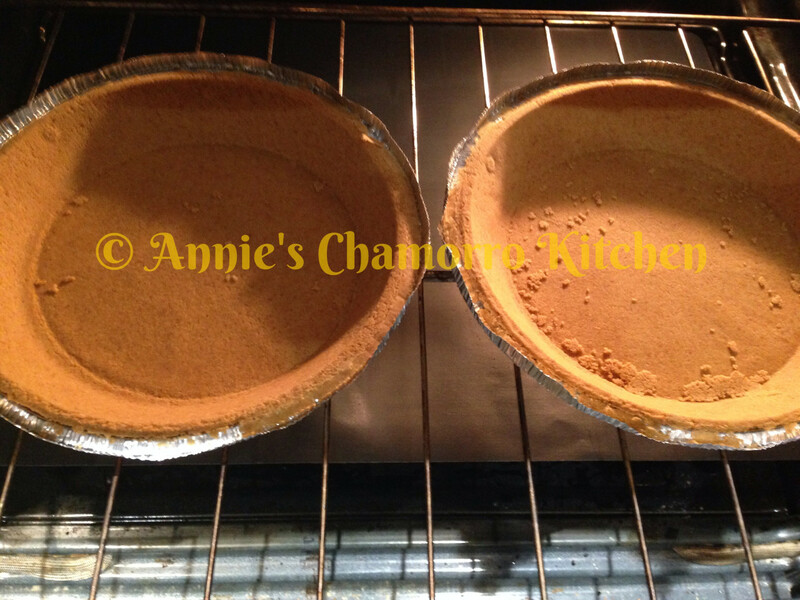 Place the graham cracker crust into the COLD oven, at the same time you turn it on to pre-heat. (In the time it takes to pre-heat your oven, the crust is toasting.) Once the oven reaches 250 degrees, take the crust out of the oven. You should smell the toasting crust by this time– when you start to smell the crust as it bakes, it’s probably ready to take out of the oven. Remove the crust from the oven. 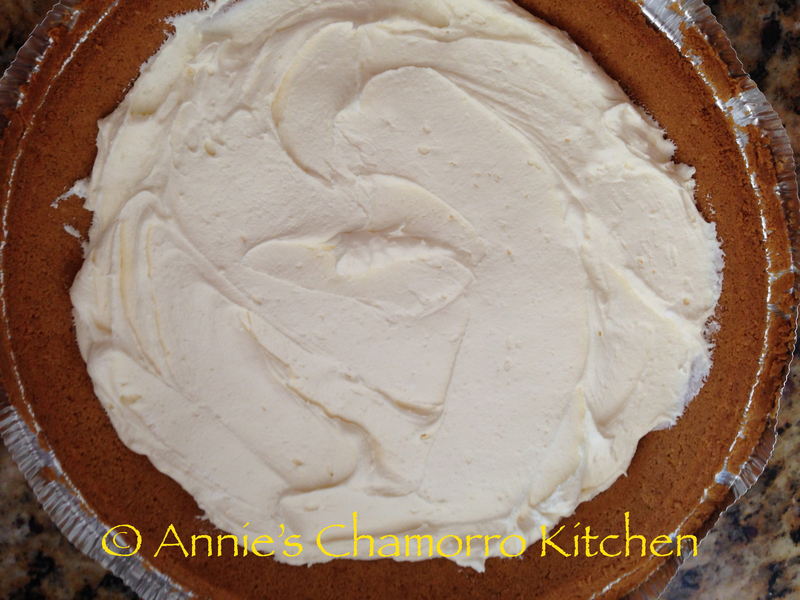 Let the pie crust cool completely before adding the filling. 2. 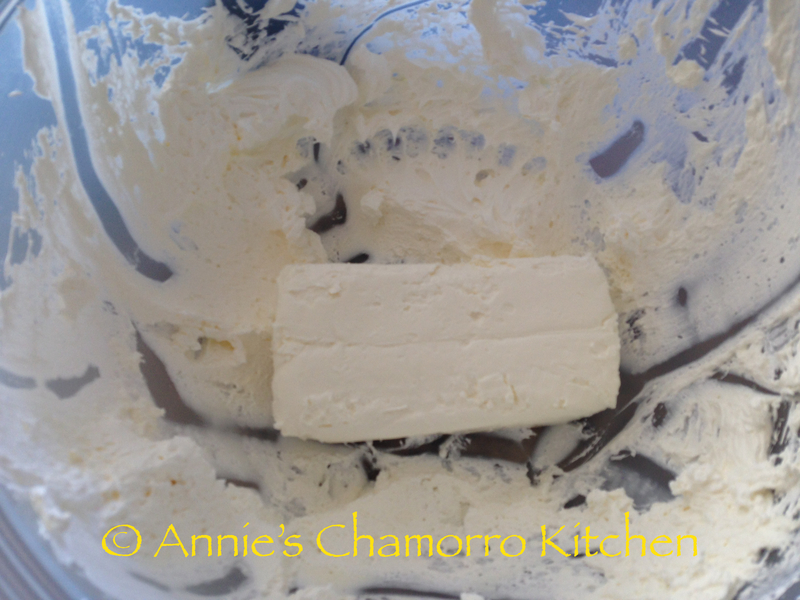 In a mixing bowl, beat the cream cheese until smooth and creamy. 3. Mix in the sour cream. 4. Mix in the cool whip. 5. 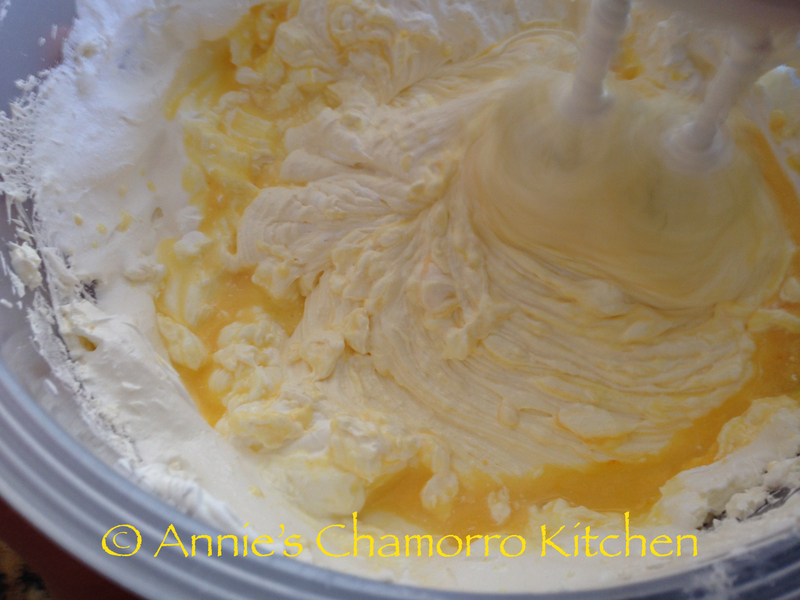 Add the instant pudding and 1/2 cup reserved mandarin juice to the cream cheese mixture. 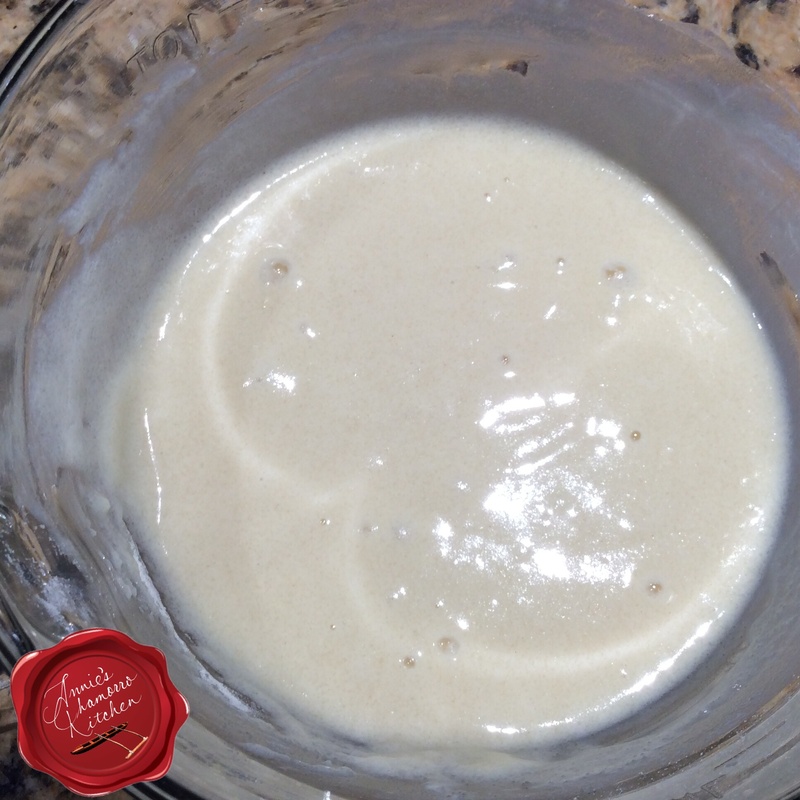 Mix well, or just until the mixture is smooth and creamy. 5. 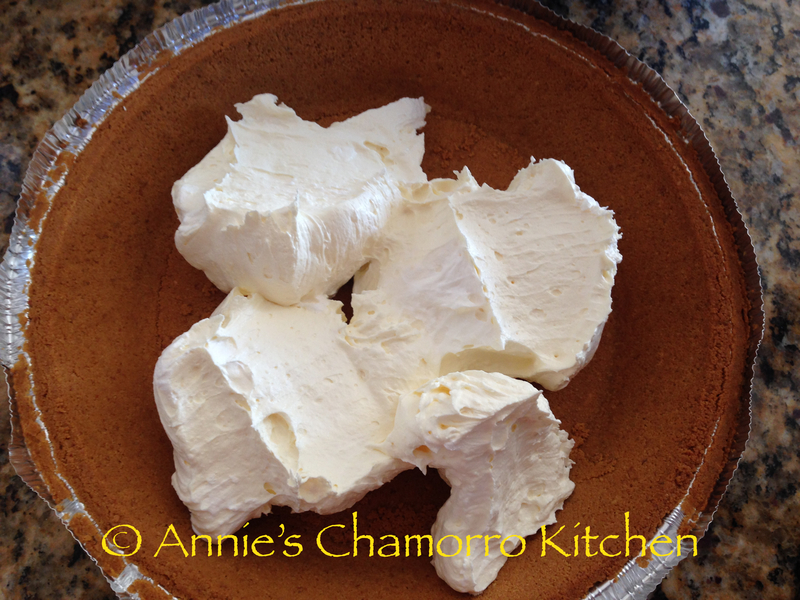 Spread half of the cream cheese filling into the pie crust. It should just come halfway up the side of the crust. Layer one can of mandarin over the filling. 6. Gently spread the remaining filling over the mandarin. 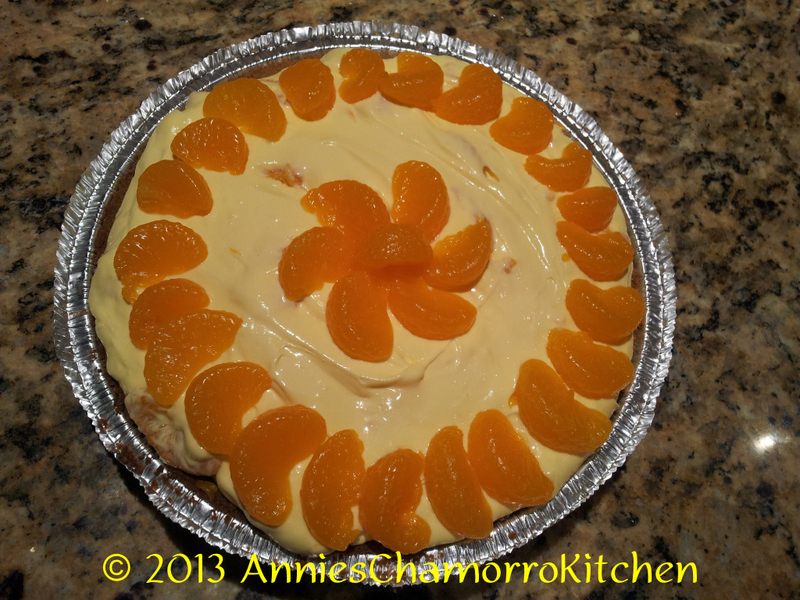 Layer the second can of mandarin over the top of the filling. 7. 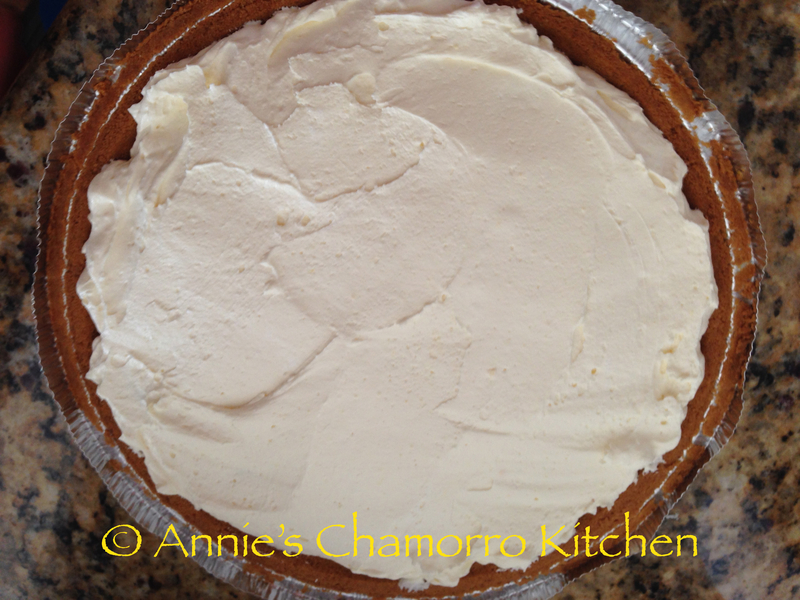 Refrigerate the pie for at least 30 minutes to allow the filling to set. 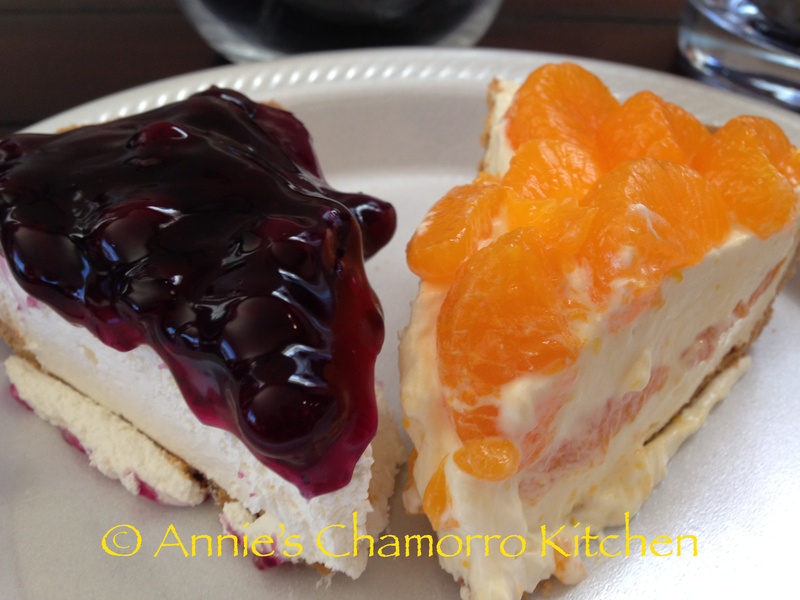 Slice, serve, and ENJOY!